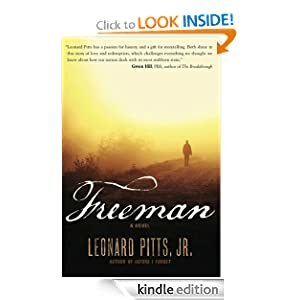 -- Freeman, the new novel by Leonard Pitts, Jr., takes place in the first few months following the Confederate surrender and the assassination of Abraham Lincoln. Upon learning of Lee's surrender, Sam--a runaway slave who once worked for the Union Army--decides to leave his safe haven in Philadelphia and set out on foot to return to the war-torn South. What compels him on this almost-suicidal course is the desire to find his wife, the mother of his only child, whom he and their son left behind 15 years earlier on the Mississippi farm to which they all "belonged." 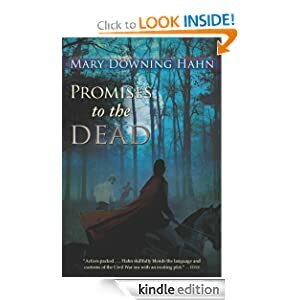 At the same time, Sam's wife, Tilda, is being forced to walk at gunpoint with her owner and two of his other slaves from the charred remains of his Mississippi farm into Arkansas, in search of an undefined place that would still respect his entitlements as slave owner and Confederate officer. At bottom, Freeman is a love story--sweeping, generous, brutal, compassionate, patient--about the feelings people were determined to honor, despite the enormous constraints of the times. It is this aspect of the book that should ensure it a strong, vocal, core audience of African-American women, who will help propel its likely critical acclaim to a wider audience. At the same time, this book addresses several themes that are still hotly debated today, some 145 years after the official end of the Civil War. Like Cold Mountain, Freeman illuminates the times and places it describes from a fresh perspective, with stunning results. It has the potential to become a classic addition to the literature dealing with this period. Few other novels so powerfully capture the pathos and possibility of the era particularly as it reflects the ordeal of the black slaves grappling with the promise--and the terror--of their new status as free men and women. When Jesse went down to the marsh on that fateful day, he expected to find a turtle for terrapin soup. Instead, he comes across a dying slave woman who makes Jesse promise he’ll take her young son, Perry, to a relative in Baltimore. Aiding and abetting a slave is against the law, and it also goes against everything Jesse has been taught to believe. But he can’t break a promise to the dead, and, more important, he has to follow what he knows in his heart to be right. -- Sometimes love finds you when you least expect it. Lana Biel has always wanted to shake the dust of Vermont off her feet and see the world, one exotic country after another. But when a lighthearted spring fling changes her life forever, she turns to the one man whose strong shoulders can lighten any burden: her best friend, Eli Ward. Eli has always been there for Lana--after all, that's what best friends do. But Lana isn't the only one hiding something. Eli is keeping secrets of his own that threaten their relationship. Yet as summer turns to fall, new desires awaken between them, even as old fears tear them apart. 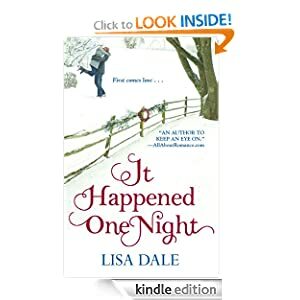 Then, when another Vermont winter fills the valleys with snow, Eli and Lana are given the chance for an adventure greater than they ever dreamed possible... and a love that will last for all time. -- In Grandma’s 52 Secret Sunday Recipes: Nan’s Perfection you’ll discover dozens and dozens of traditional recipes that have stood the tests of time, always coming out delicious! These recipes have been secretly passed down, generation to generation, some since the early 1930’s. Now, Grandma Nan takes you on a step-by-step, easy to understand culinary journey that will make everyone in your home happier. Mouthwatering recipes for classic meals like Country Fried Chicken, Meatloaf and Mashed Potatoes, Beef Burgundy, Lasagna and so much more are included. And of course, there’s plenty of other recipes for breakfasts, lunches, anytime snacks – and all the cookies, cakes, pies, fudge and brownie recipes any loving Grandmother needs to know. You’ll also benefit from more than 25 Secret Kitchen Tips, straight from Nan to you!